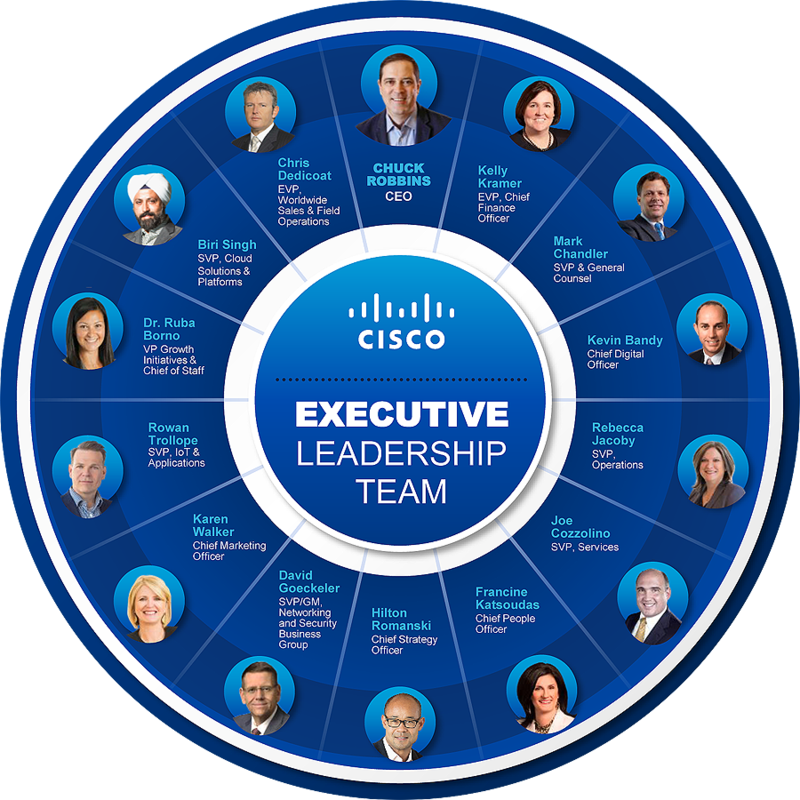 San Francisco, California, USA - September 22, 2016 - Cisco (NASDAQ: CSCO) and Salesforce (NYSE: CRM), the Customer Success Platform and the world's #1 CRM company, today announced a strategic alliance to enable business users to be more productive than ever before. The two companies will jointly develop and market solutions that join Cisco's collaboration, IoT and contact center platforms with Salesforce Sales Cloud, IoT Cloud and Service Cloud. Cisco (NASDAQ: CSCO) and Salesforce (NYSE: CRM), the Customer Success Platform and the world’s #1 CRM company, today announced a strategic alliance to enable business users to be more productive than ever before. The two companies will jointly develop and market solutions that join Cisco’s collaboration, IoT and contact center platforms with Salesforce Sales Cloud, IoT Cloud and Service Cloud. 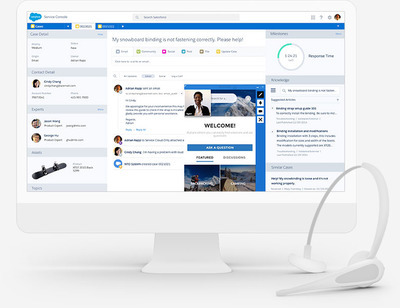 • Collaboration: Cisco and Salesforce will natively integrate Cisco Spark and WebEx into Sales Cloud and Service Cloud via the Salesforce Lightning Framework. With this integration, joint customers will be able to communicate in real-time using chat, video, and voice without leaving Salesforce or having to install a plug-in, eliminating the hassle of toggling between apps. • IoT Services: Cisco Jasper and the Salesforce IoT Cloud will integrate to provide visibility, control and recommended customer actions for connected devices, providing businesses with a more comprehensive and intelligent view of their IoT services. Cisco Jasper provides real-time visibility into launching, managing and monetizing IoT devices at every stage of their lifecycle. 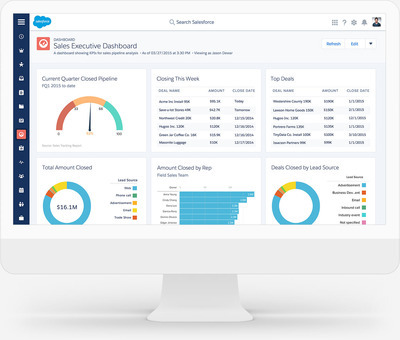 The Salesforce IoT Cloud connects billions of IoT events with Salesforce, unlocking insights from the connected world that empower anyone to take the right action, for the right customer, at the right time. Together, these solutions will empower companies to quickly and cost-effectively leverage billions of IoT data points to provide personalized, engaging experiences for customers, partners and employees. For example, a fleet of connected trucks with IoT devices managed by Cisco Jasper can seamlessly pass data to the Salesforce IoT Cloud. 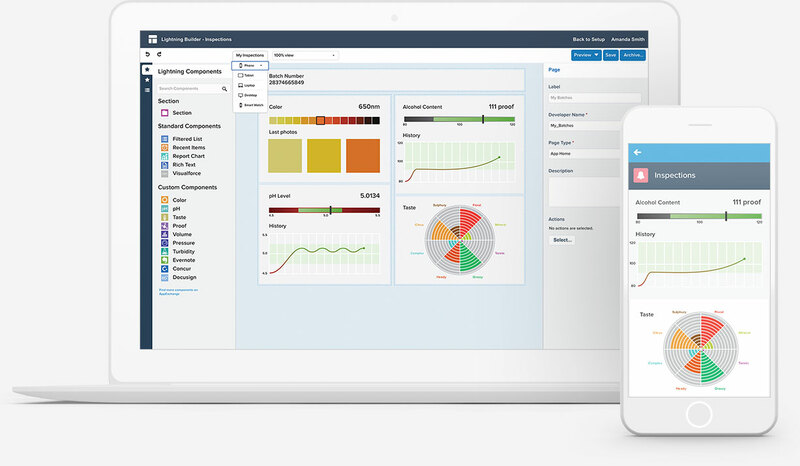 In the Salesforce IoT Cloud, the truck management company can build business logic to provide customers with real-time delivery updates or flag truck maintenance issues that need to be addressed. • Customer Service: The two market leaders in customer service are teaming up to deliver a complete customer service solution, from communications infrastructure to an integrated, intelligent agent desktop experience. Cisco’s Unified Contact Center Enterprise delivers intelligent contact routing, call treatment, network-to-desktop computer telephony integration and multichannel contact management. 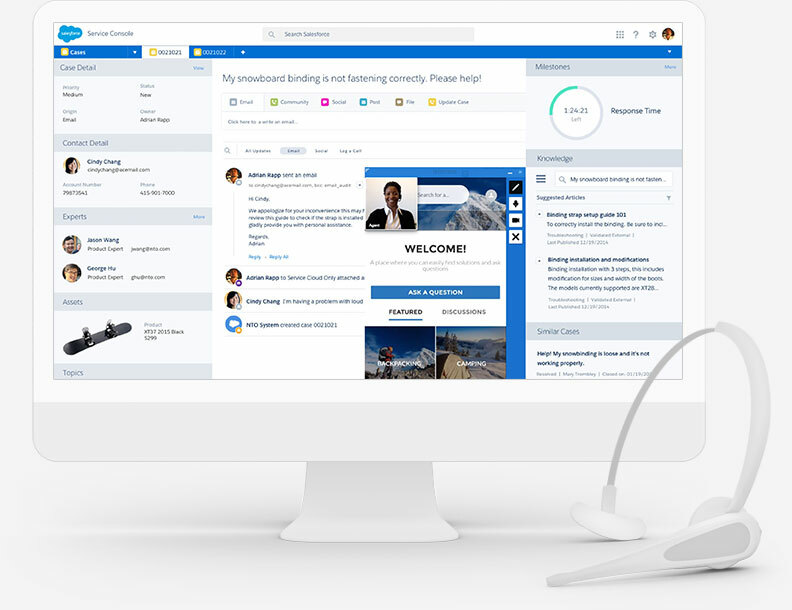 The Salesforce Service Cloud is the world’s #1 customer service app, providing agents with a 360-degree view of the customer to deliver fast, smart customer service. With these two solutions seamlessly integrating, companies will be able to manage call centers more efficiently. 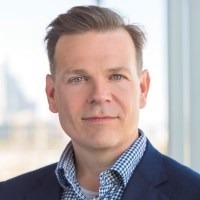 Rowan Trollope is Senior Vice President and General Manager of Cisco’s Internet of Things (IoT) and Applications. “Cisco wants to deliver simple, magical experiences. 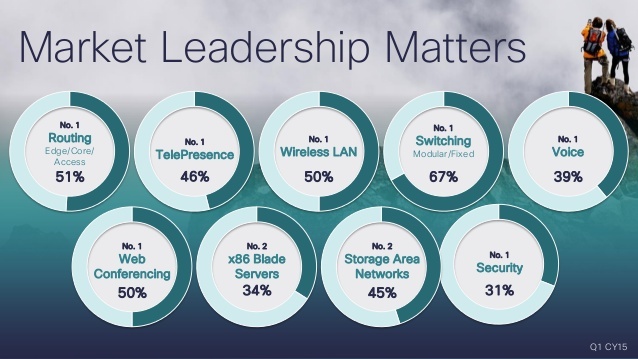 Our goal is for technology to fade into the background so people can get their best work done,” said Rowan Trollope, SVP and GM of IoT and Applications Groups, Cisco. “Nothing is more important than making our customers more successful,” said Ryan Aytay, EVP of Strategic Product Alliances, Salesforce. • The collaboration integrations are expected to be available in the second half of 2017. Customers will need a Salesforce license and a Cisco Spark and/or WebEx license to benefit from these integrations. 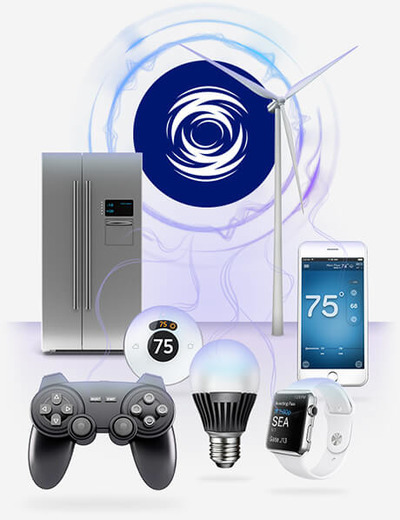 • The IoT integrations are expected to be available in the second half of 2017 and pricing will be announced at that time. • The integrations between Cisco’s Unified Contact Center Enterprise and Salesforce’s Service Cloud are available today through the Salesforce AppExchange. 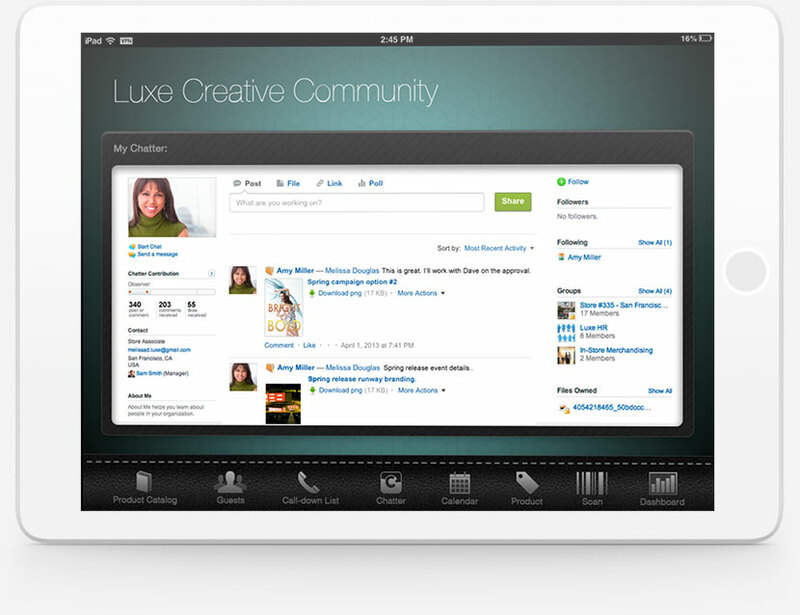 We will announce availability and pricing info for additional integrations as it becomes available. 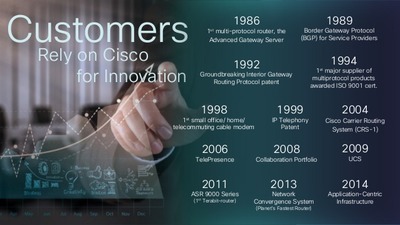 Cisco (NASDAQ: CSCO) is the worldwide technology leader that has been making the Internet work since 1984. 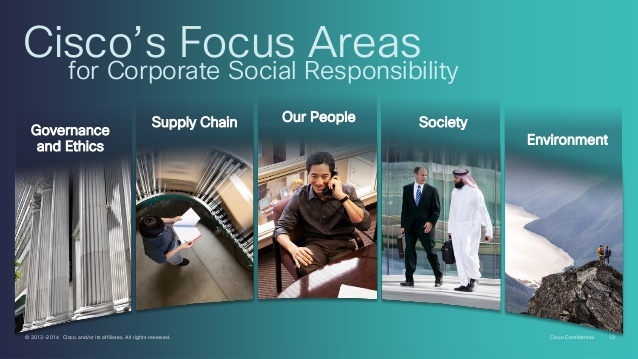 Our people, products, and partners help society securely connect and seize tomorrow's digital opportunity today. 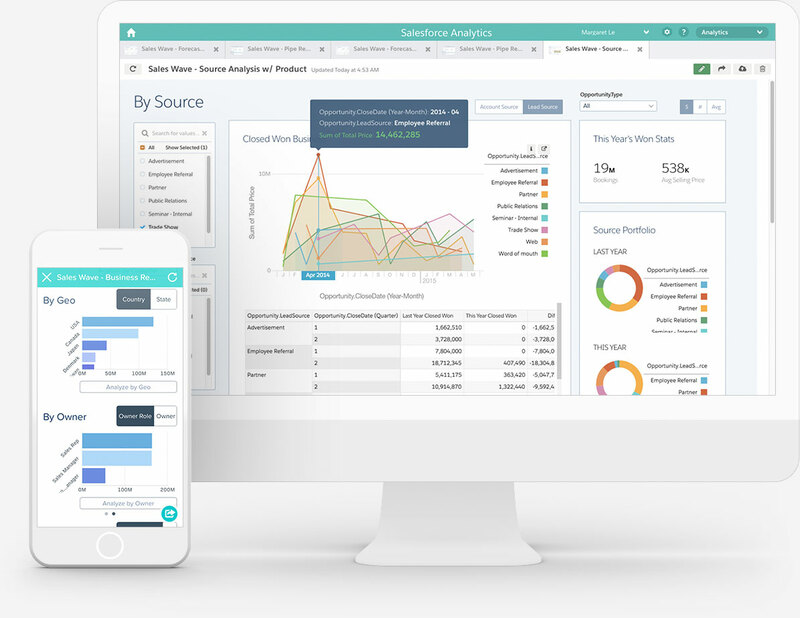 With Analytics Cloud, drill down into any dataset, get instant answers, and collaborate with your team on any device, from anywhere. 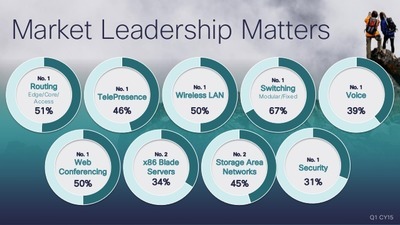 All at speeds that no other analytics solution can deliver. Any unreleased services or features referenced in this or other press releases or public statements are not currently available and may not be delivered on time or at all. Customers who purchase Salesforce applications should make their purchase decisions based upon features that are currently available. Proactively engage your customers by connecting the internet of things with your most important customer data for more meaningful real-time actions. Connect any device, sensor, product, website, and event stream.